Heat oven to 400. 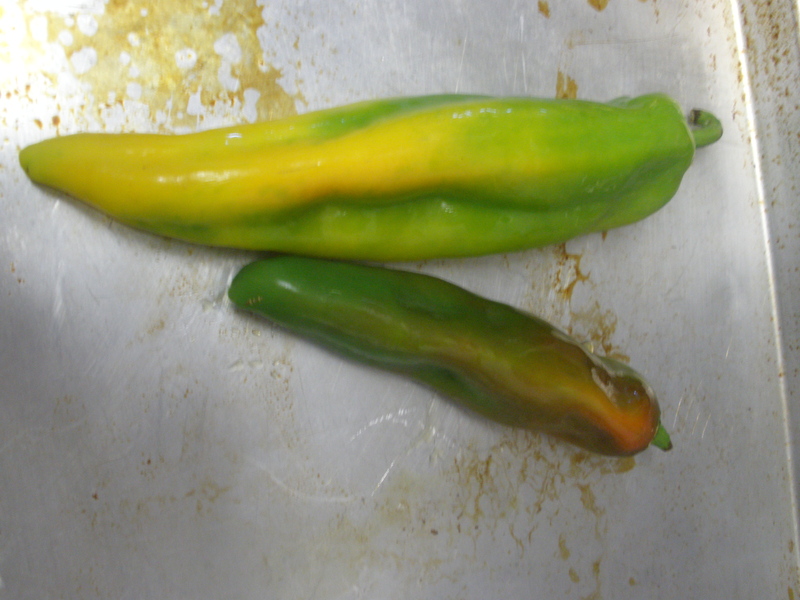 Brush peppers with olive oil, and place on cookie sheet. 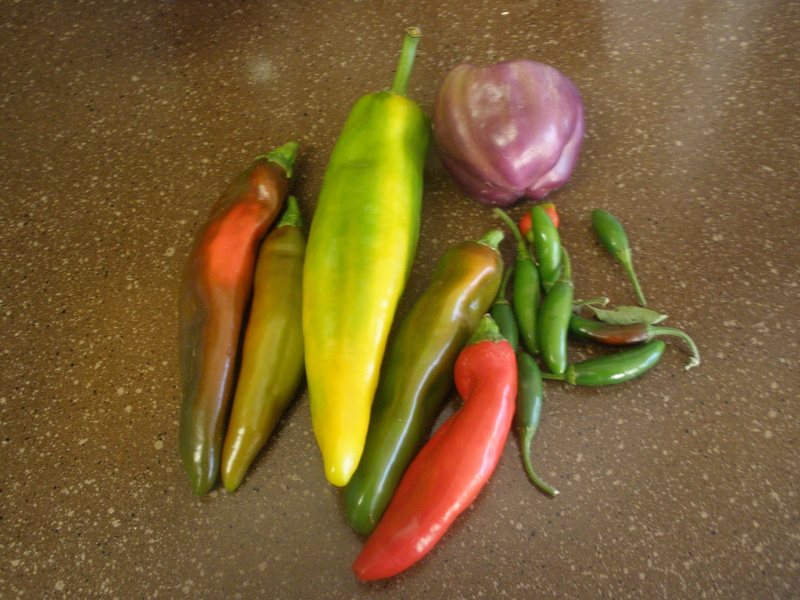 Let peppers cool completely before using in the hummus. 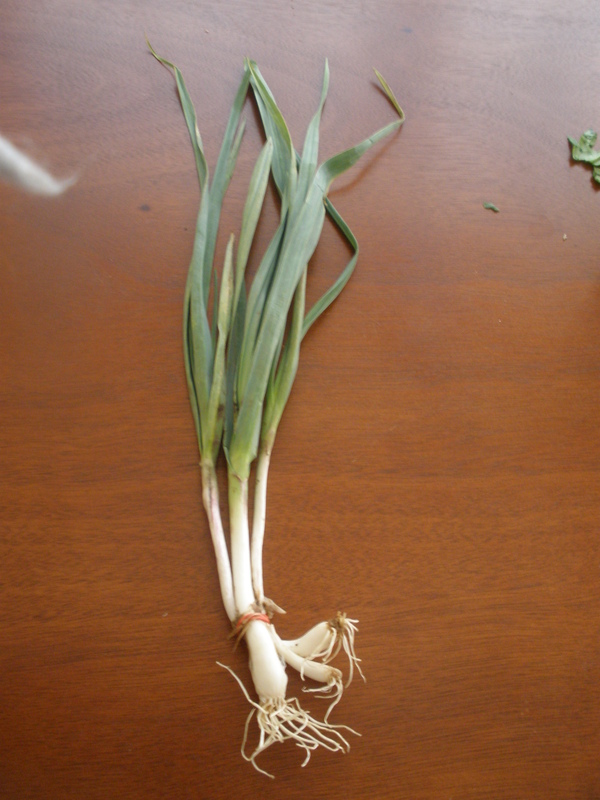 Remove stems and seeds. Combine all ingredients in the food processor, and whirl until everything is well combined, scraping the sides once or twice if needed. 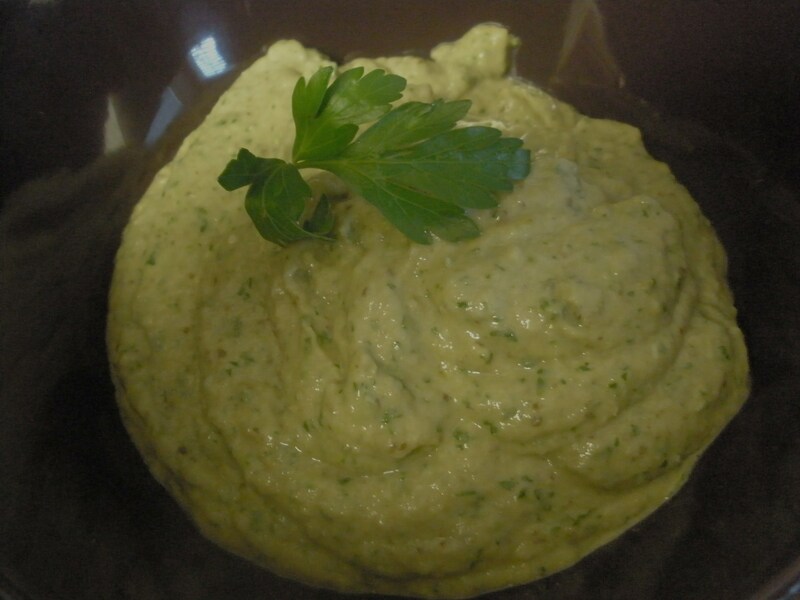 Serve on bread, on sandwiches, or as a dip for crudite. 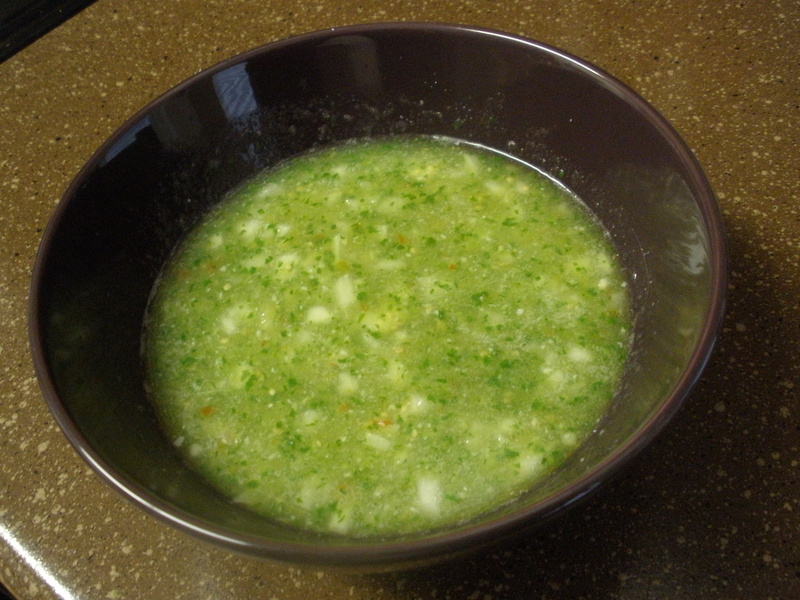 This green salsa was inspired by Kippy Nigh’s recipe in her cookbook A Taste of Mexico. The salsa was fantastic with some molletes (toasted bread slathered with refried beans, salsa, and cashew/tofu cream) and the seitan tacos I made a few weeks ago. Though I used the serrano peppers I got in my CSA share for this, I also found some tomatillos at my local farmers market, so this was a mostly local salsa! Place all ingredients except the cilantro in a small saucepan. Bring to a boil. Turn down to medium high heat and cook for about 8-10 minutes, or until the tomatillos are cooked (they’ll be tender instead of firm as when they are fresh). 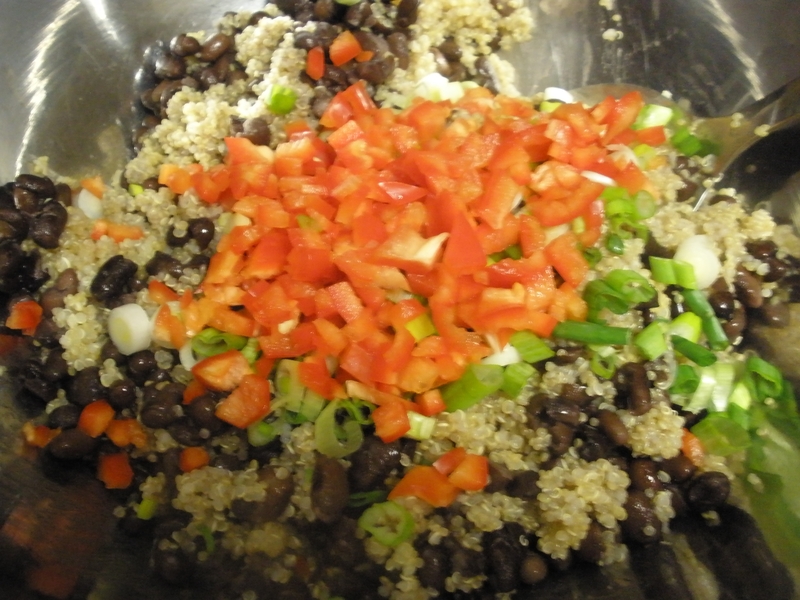 Once done, place the pan contents in a food processor along with the cilantro, and whirl until you have salsa. Add water if you want a thinner consistency. 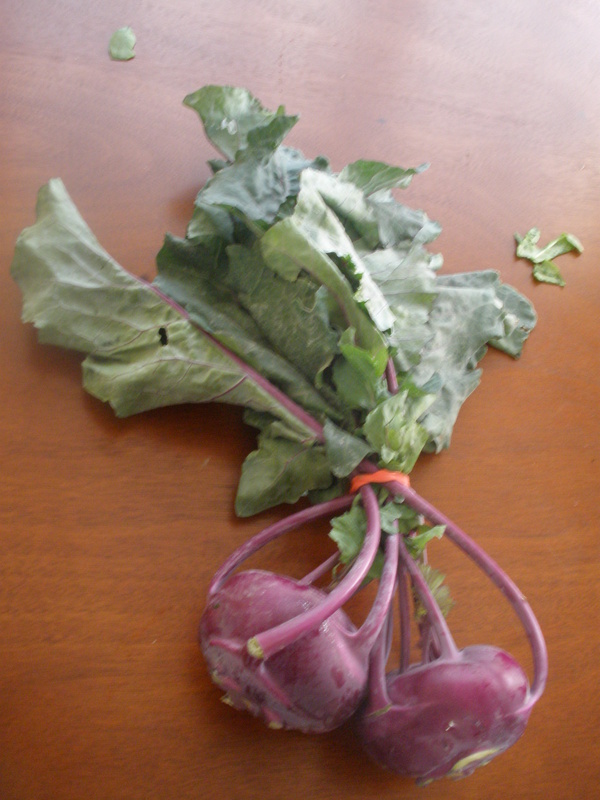 My original thought for making a vegetable-added brownie was to make a beet brownie. I eventually will, but I had a sweet potato to use. 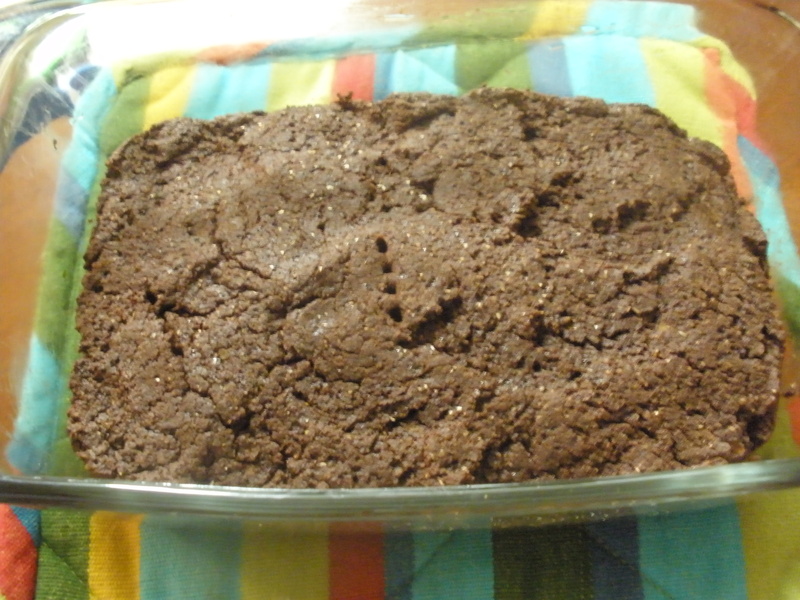 Sweet potatoes in particular add sweetness to the brownies such that less sugar is necessary. I also had to make pumpkin muffins because I had yet to make them this fall, though they are one of the things I most look forward to making in the fall and winter. The pumpkin muffins are inspired by the Yammy Muffins recipe from the Sustainable Food Center’s The Happy Kitchen cookbook, which I’m currently doing some recipe testing for. I changed up that recipe quite a bit, reducing the amount of sugar, increasing the pumpkin, eliminating the oil, and using pumpkin in place of sweet potato. 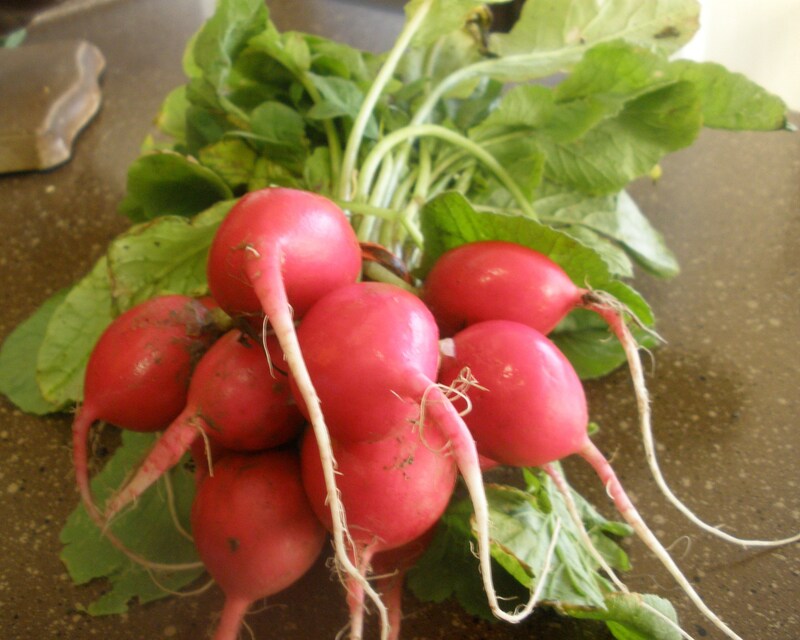 Overall, using vegetables in baking adds moisture so that less oil and eggs are necessary, and in the case of beets and sweet potatoes, adds sweetness so that you don’t need to add so much sugar. Of course, there’s also the added nutrition factor. Preheat oven to 400. 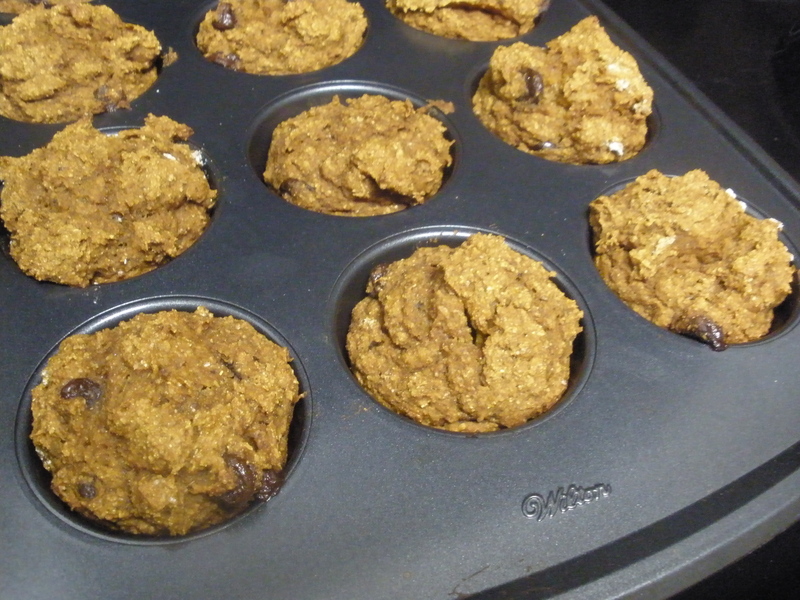 Line a 12-cup muffin pan with papers, or dab some vegetable oil or butter in the cups to keep the muffins from sticking. 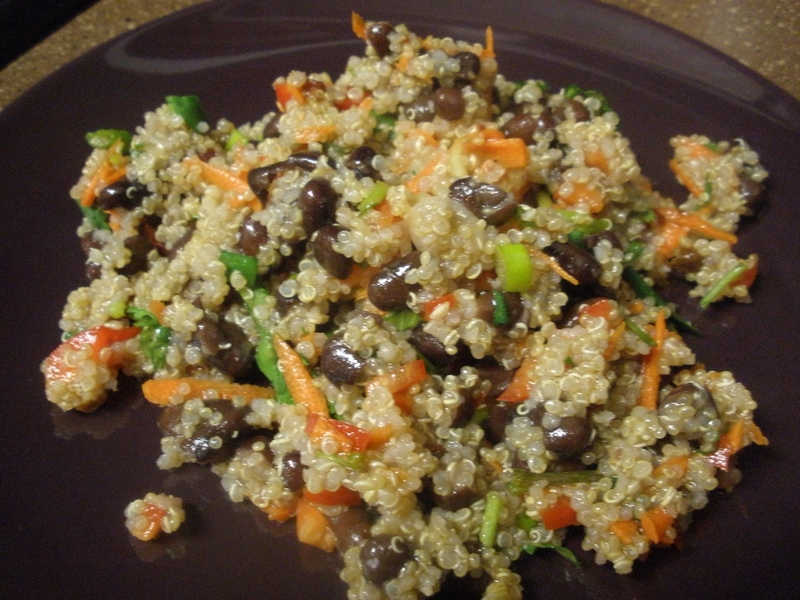 In a large bowl, combine the dry ingredients. 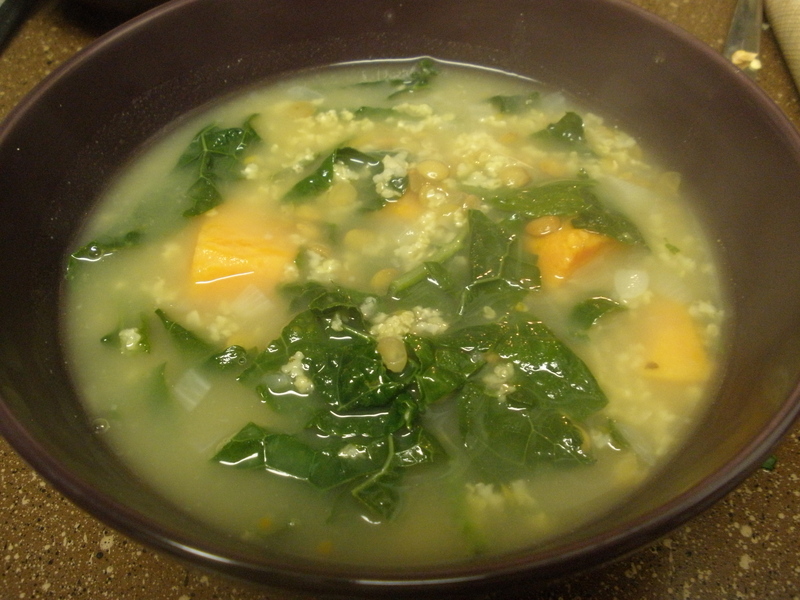 In another smaller bowl combine the pumpkin, flax mixture or eggs, vanilla, barley malt, and almond milk. Then, mix the dry and wet ingredients together, until just combined. Fold in the chocolate chips. Evenly distribute muffin batter in the muffin pan. Bake for 30 minutes, or until a knife comes out clean. Peel the sweet potato, cut into chunks, and boil until tender. 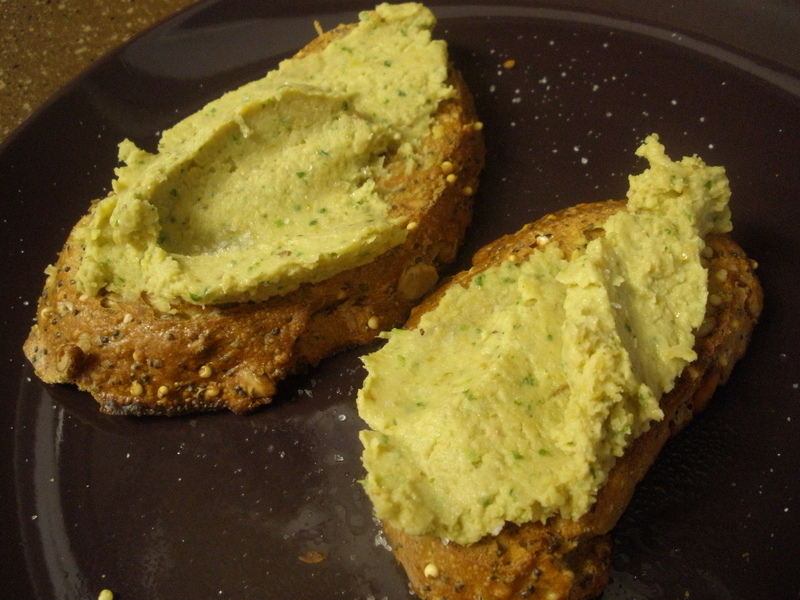 (Another alternative is to cut a few slits in the potato and microwave until it’s cooked, usually about 10 minutes.) Mash in a medium bowl. Heat the oven to 375 degrees. 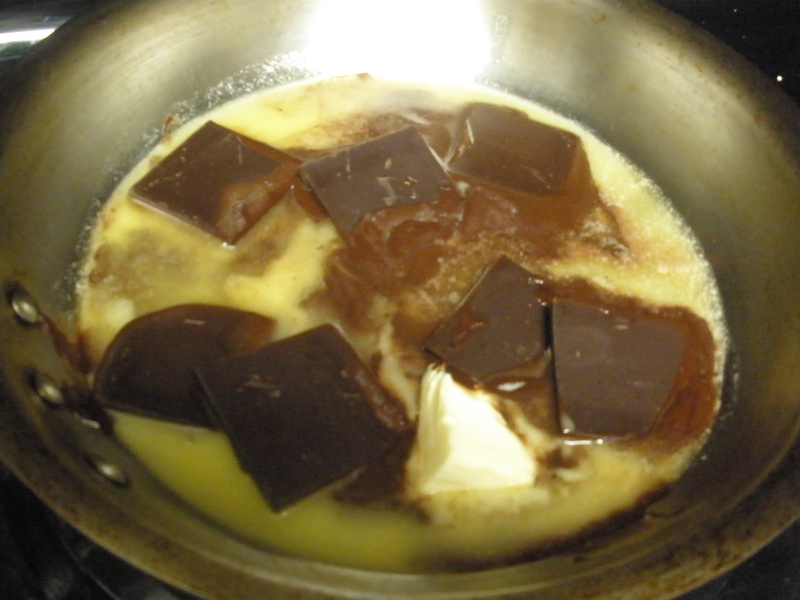 Melt the butter with the chocolate bar in a medium saucepan or skillet over medium low heat until completely melted. Stir during the process to facilitate the combining of the butter and chocolate. Mix dry ingredients (flour, baking soda, and salt) together in a small bowl. 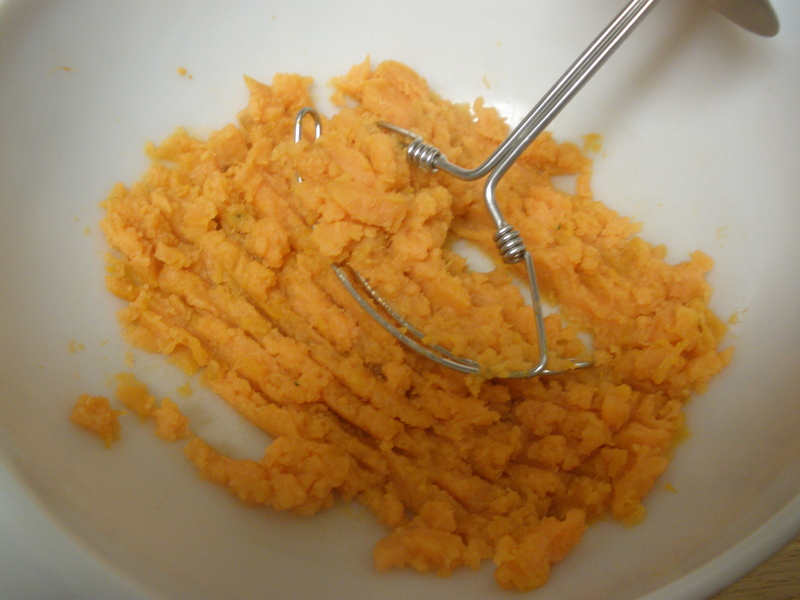 Mix the flax mixture or egg with the sweet potato, vanilla, and sugar. Add the chocolate mixture, then add the dry ingredients and mix until just combined. Place in a square 8×8 pan, or a loaf pan for thicker brownies (that’s what I did). Bake for about 25 minutes. The brownies will be very fudgy, not cakey. 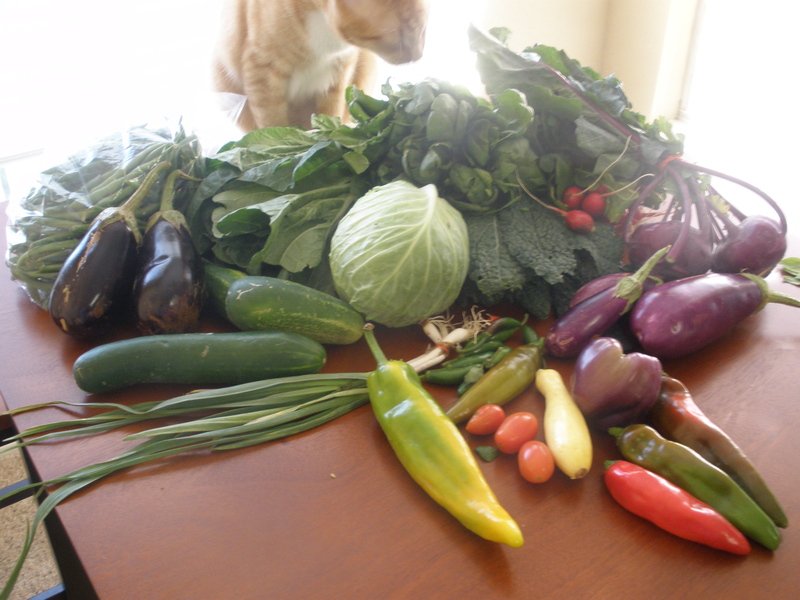 I used to really dislike eggplant, despite my wish to really like it. Part of my dislike had to do with only being exposed to store-bought eggplant, which is often large and bitter (the larger your eggplant, the more bitter it will be.) Also, enjoying eggplant really depends on how you prepare it. My conclusion after trying various ways of preparing eggplant is that it’s got to be roasted/baked into oblivion. 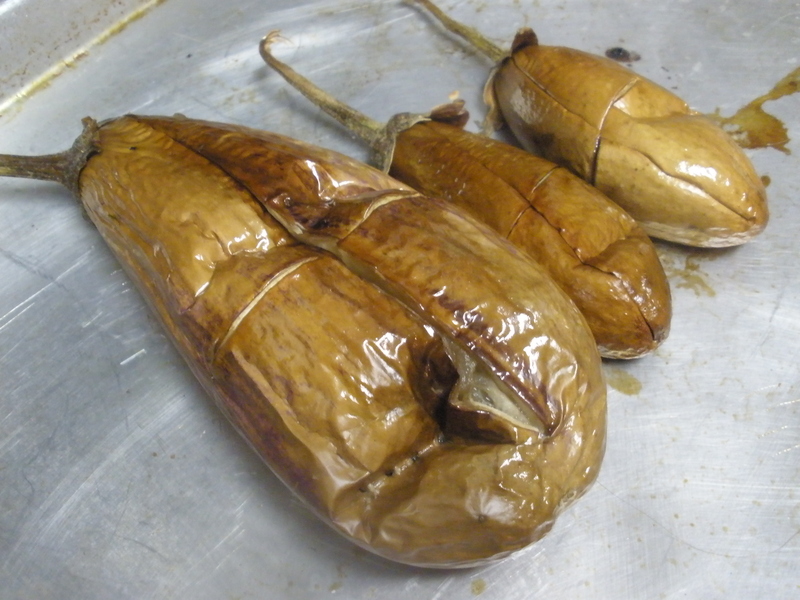 My favorite eggplant dishes include Imam bayildi, a typical Turkish dish of very soft roasted eggplant stuffed with vegetables and doused in olive oil, baba ganoush, eggplant parmesan, and ratatouille. All of these involve oven roasting your eggplant until very soft. 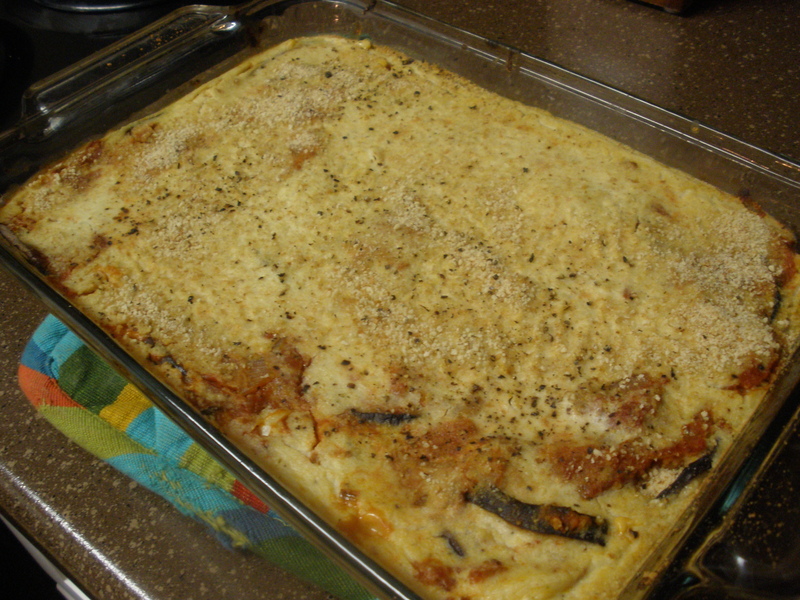 With eggplant I got in my CSA box, I made two dishes: baba ganoush and a vegan eggplant parmesan. 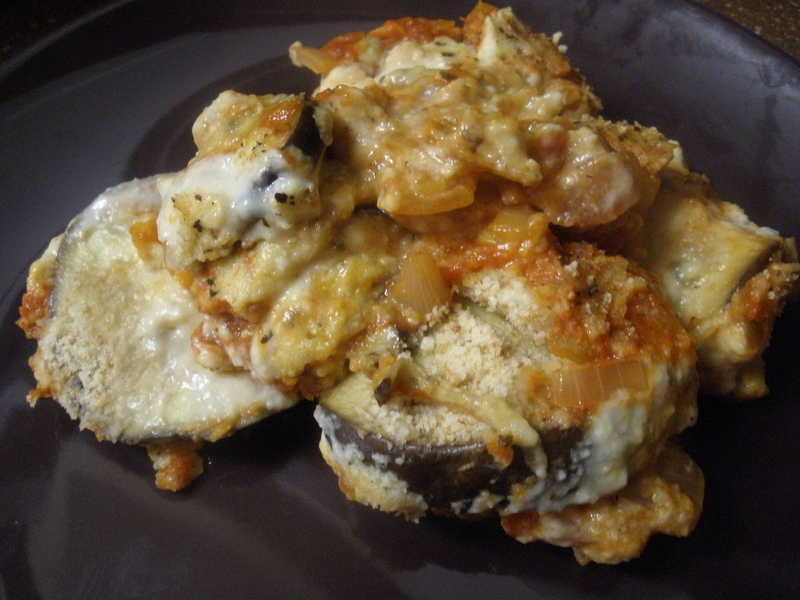 The baba ganoush recipe is my own, the eggplant parmesan is adapted from a recipe on the Fat Free Vegan website (link provided). I changed up some of the ingredients and rewrote the instructions according to how I actually made the dish. I used the lighter colored eggplant for the baba ganoush, and the darker for the eggplant parmesan, though these are certainly interchangeable. Aside from eating spoonfuls of this magical, addictive dip, my favorite way to eat this is on toasted whole grain bread with plenty of seeds. First, cook the eggplant. 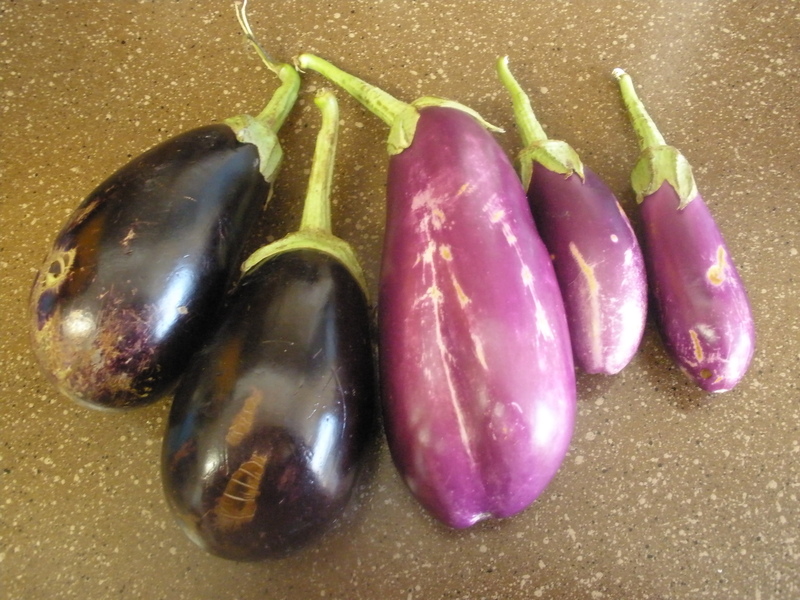 Preheat the oven to 375 degrees F. While the oven heats, place the eggplants on a cookie sheet or glass baking dish. Split the eggplants down the middle, both vertically and horizontally. Brush the eggplant with olive oil, on all sides. 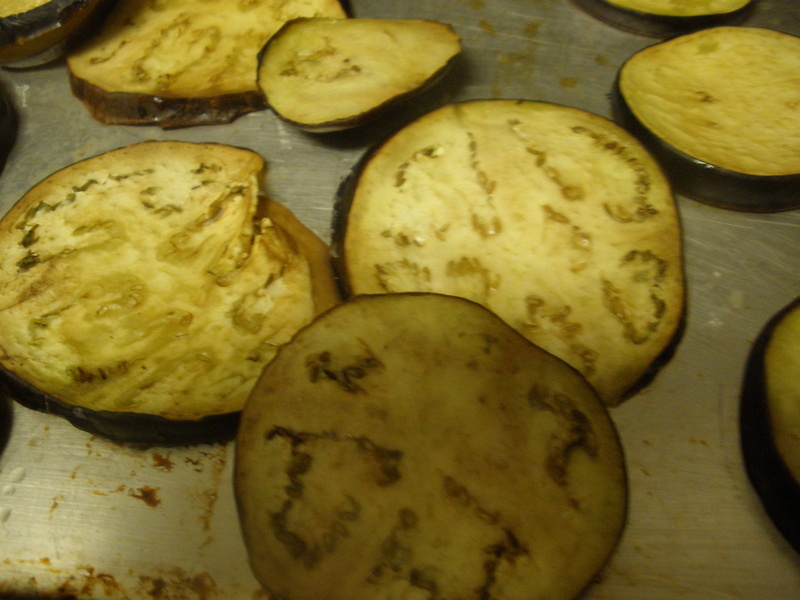 When the oven is heated, bake the eggplant for about 30 minutes, until very soft. 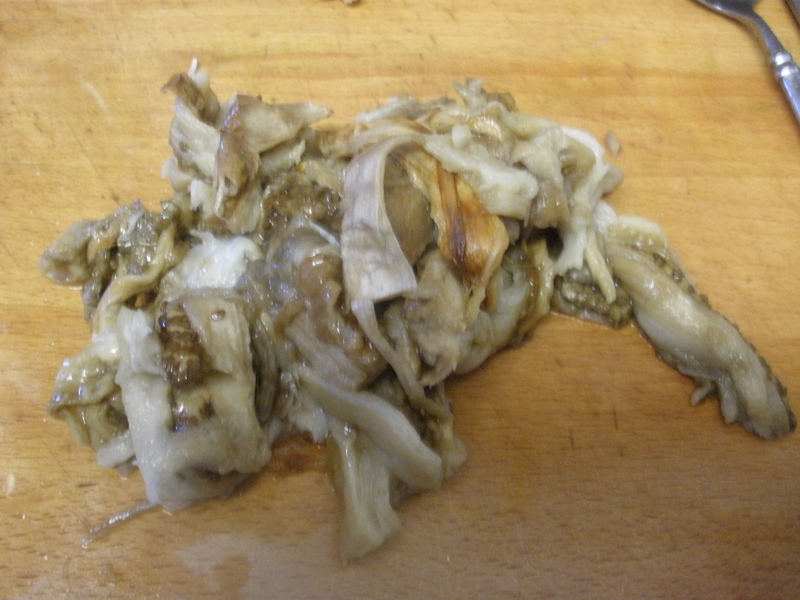 Next, scrape the flesh out of the skins using a spoon. I ended up with about one cup of flesh. Now, you are ready to make the final product. Place the eggplant and the remaining ingredients in a food processor. Process until smooth. Taste, and add additional salt if necessary. Makes about 1 1/2 cups of baba ganoush. Note: This recipe says to salt the eggplant. I skipped this step because my eggplants were smaller and I knew they were unlikely to be bitter. If you use a large eggplant, particularly store-bought eggplant, slice the eggplant, salt it, put it in a colander and place over a larger bowl or in the sink. 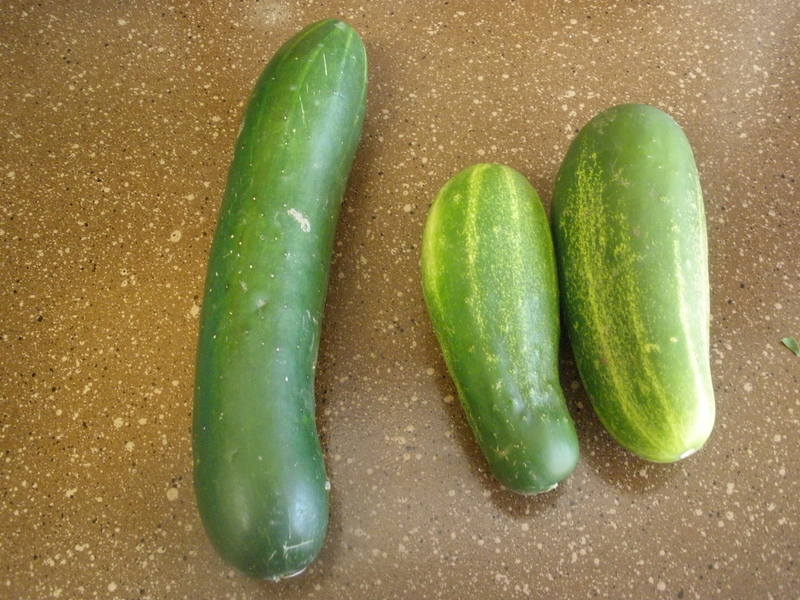 The salt extracts the eggplant’s liquid, and thereby helps eliminate the bitterness many eggplants have. Turn on your oven’s broiler. 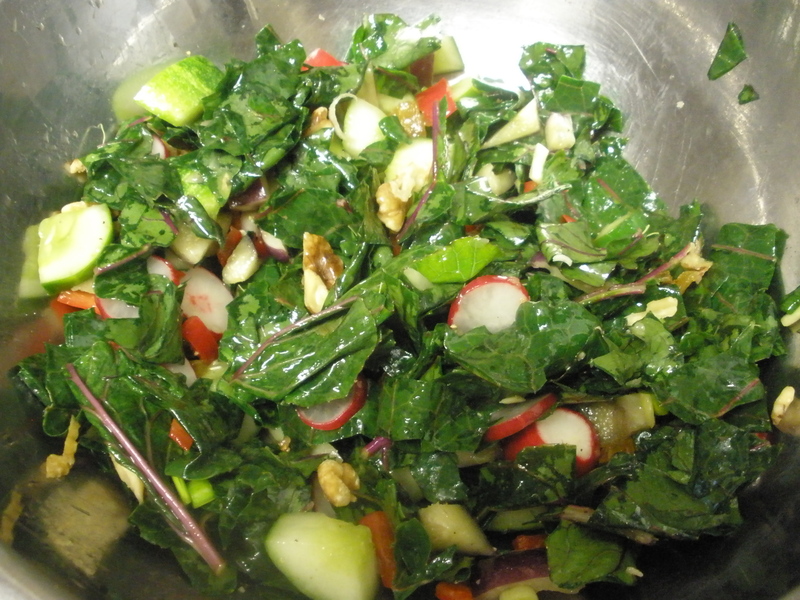 Remove the eggplant stems and slice into 1/4-1/2 slices. Place on a cookie sheet, and brush with olive oil and sprinkle with sea salt. 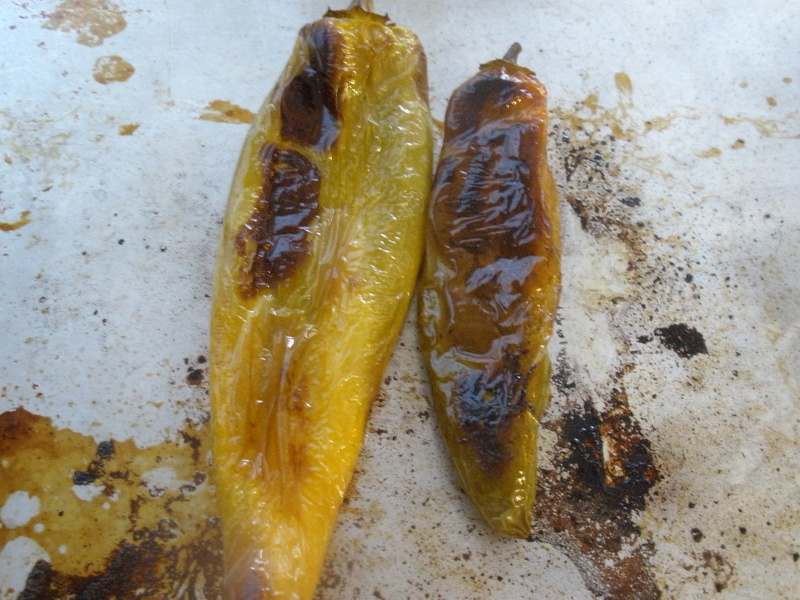 Place the eggplant under the broiler for about 3 or 4 minutes, until it starts to brown, as shown below. Remove from the oven. Next, prepare the tomato sauce. Heat 1 T olive oil in a large sauce pan over medium heat. When heated, add the onion and saute for about 5 minutes. Add the garlic, sauteing for another minute or two. 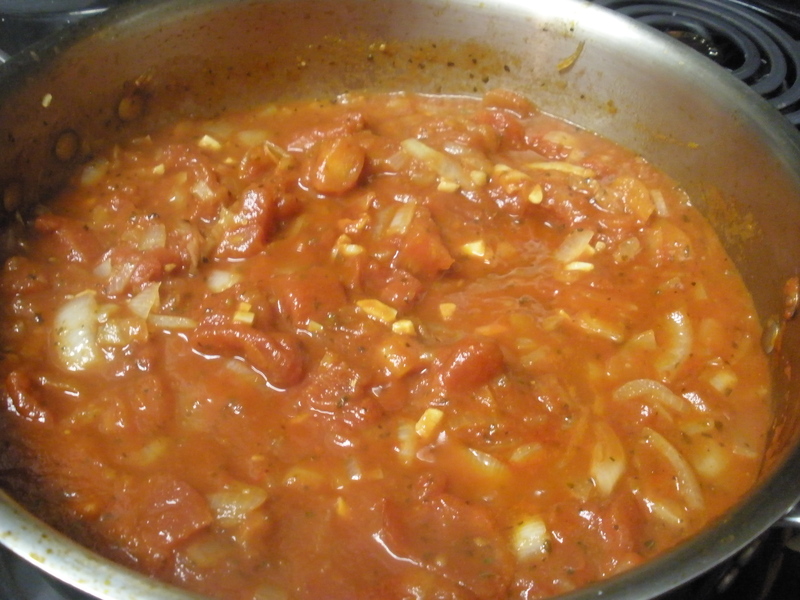 Add the remaining sauce ingredients, stir until combined, and cook over medium low heat for 15-20 minutes. While the sauce is cooking, prepare the cheese sauce. 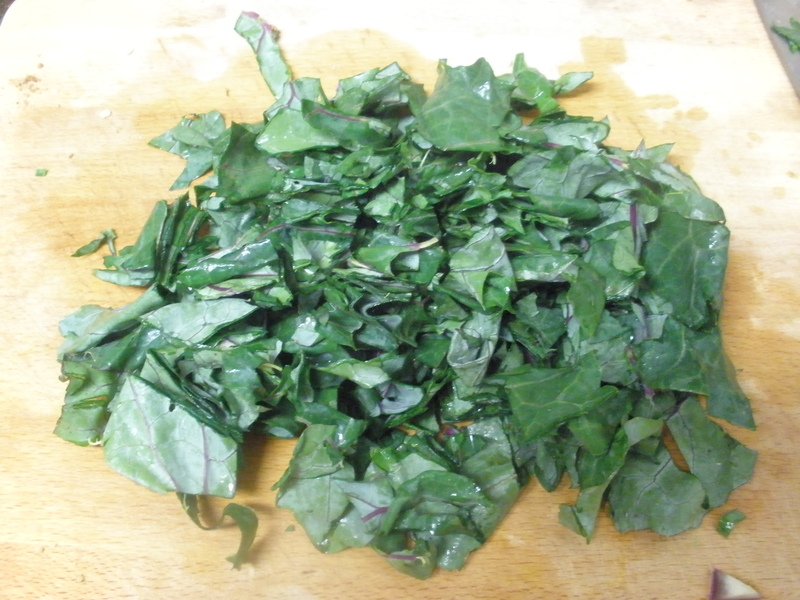 Place all ingredients in a blender or food processor, and process until completely smooth. Preheat your oven to 350 degrees F. While the oven heats, assemble the dish. Use a medium-sized glass baking dish (mine was 8×11 inches). Place half the eggplant slices in the bottom of the pan. 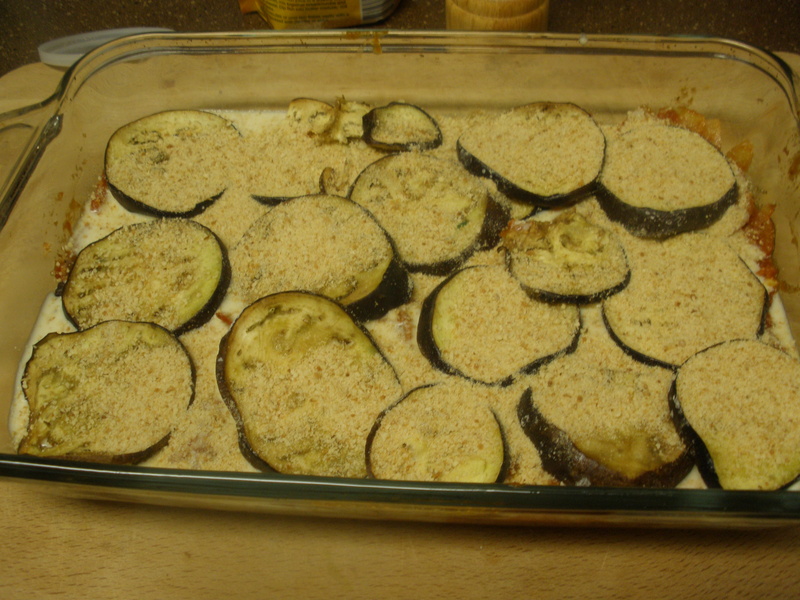 Top with half the bread crumbs, evenly coating the eggplant layer. Next, spread half the tomato sauce over the eggplant and bread crumbs. Pour over half the cheese sauce. Repeat these layer once more, reserving some of the bread crumbs to top the eggplant parmesan. Bake uncovered for about 25-30 minutes, until the top is a bit browned. Allow to cool about 10 minutes and serve. I really love raw desserts. They satisfy my sweet tooth without making me crave more. I’m not sure how that works, but it’s one reason I’ve started experimenting with raw dessert recipes. 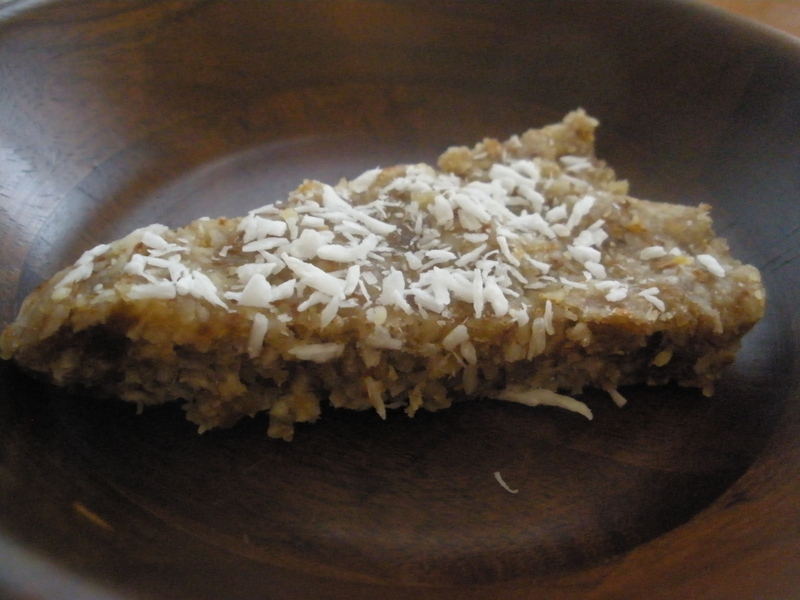 This recipe for lemon coconut bars is adapted from the Lemon Coconut Bars recipe in Ani Phyo’s Ani’s Raw Food Kitchen. There’s no baking, no white sugar, no flour, and they literally take about 5 minutes to make. I think a raspberry or cranberry sauce would be a nice accompaniment to these bars, but maybe I’ll try that next time. First, place the walnuts and almonds in a food processor. Pulse until the nuts are chopped. Add the remaining ingredients to the food processor, and process until you have a paste you can press into a pie plate or 9-inch square baking pan. 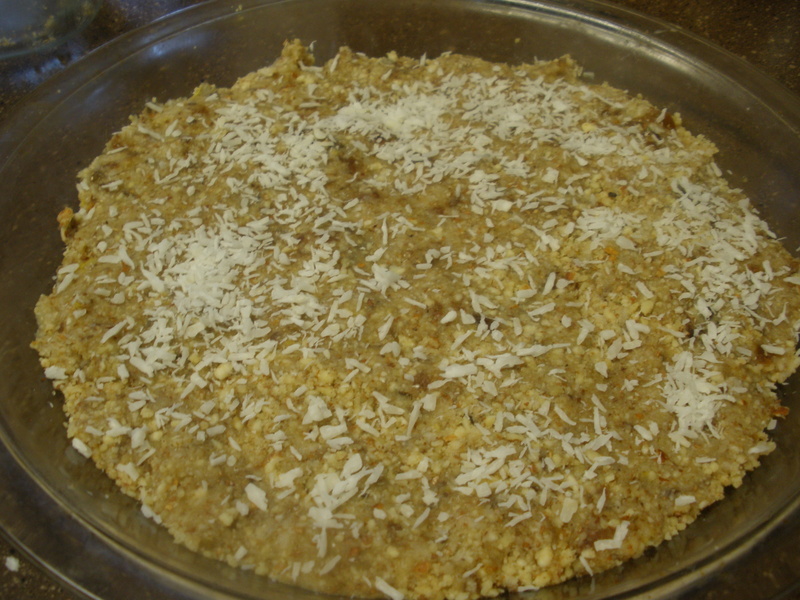 Press the dough into the pan, and sprinkle with shredded coconut. 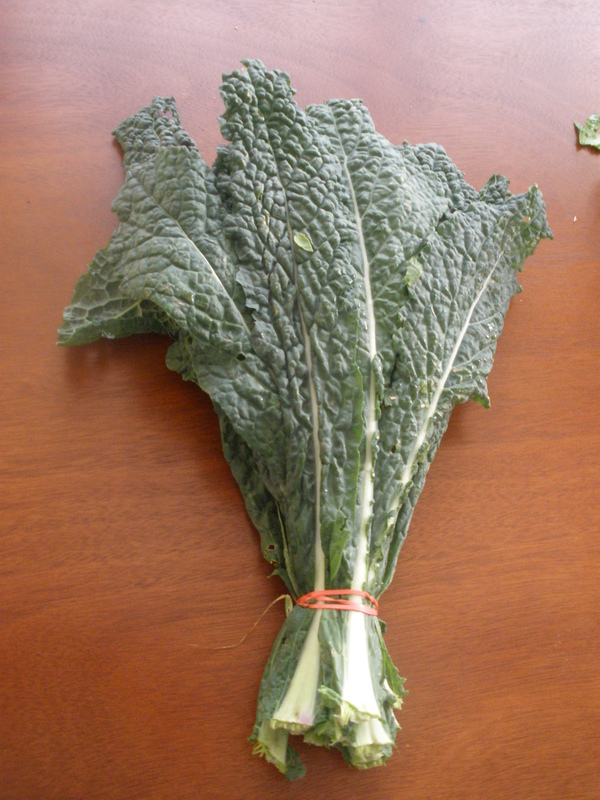 Refrigerate for at least a few hours before serving. 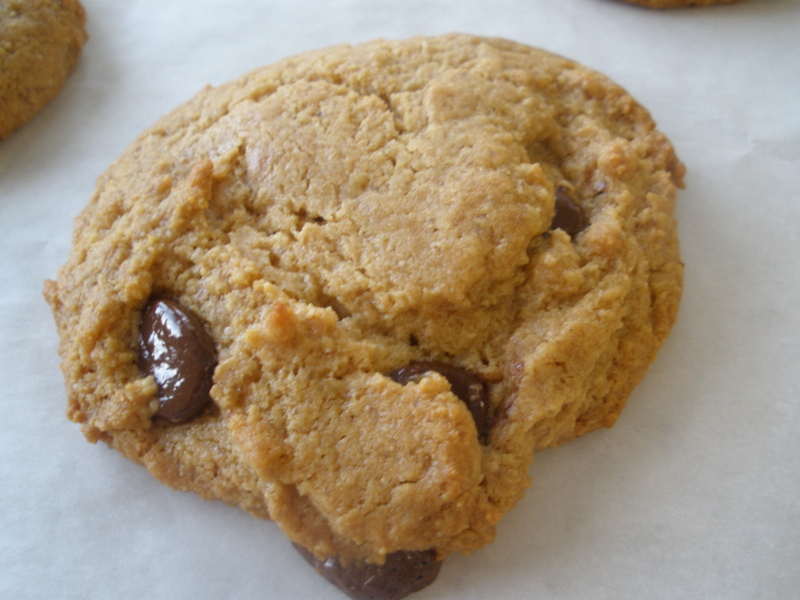 This recipe is adapted from the Peanut Butter Cookies in The Healthy Hedonist by Myra Kornfeld. I love that these cookies are made with an “alternative” flour–chickpea, not wheat. These cookies are great to freeze. Just microwave them for about 30-45 seconds when ready to eat. Preheat oven to 350 degrees F. Line two baking sheets with parchment paper and set aside. Cream the butter, sugar, and barley malt together with a mixer until fluffy (2-3 minutes was enough for me). 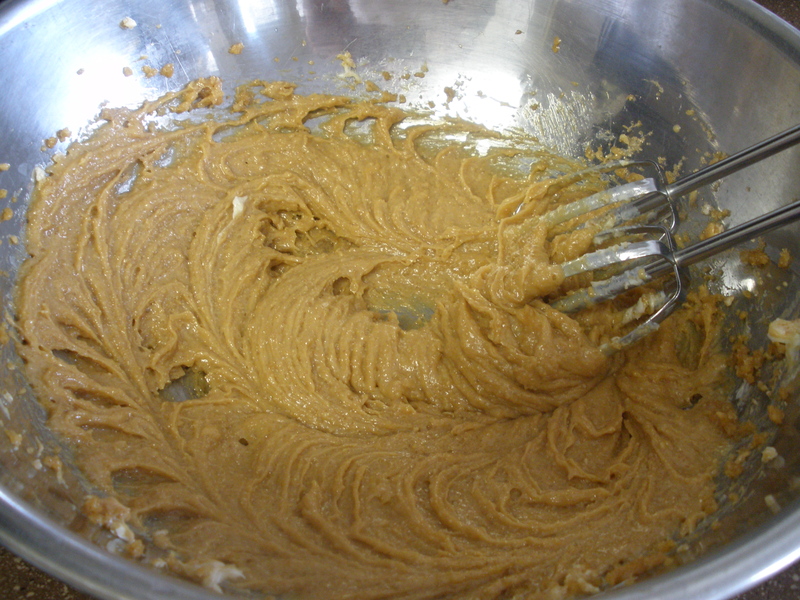 Add the peanut butter and mix for another minute. Beat in the egg and vanilla just until smooth. In a medium bowl, whisk the flour, salt, and baking soda together. Mix the dry ingredients together into the wet in three batches, mixing until just combined. 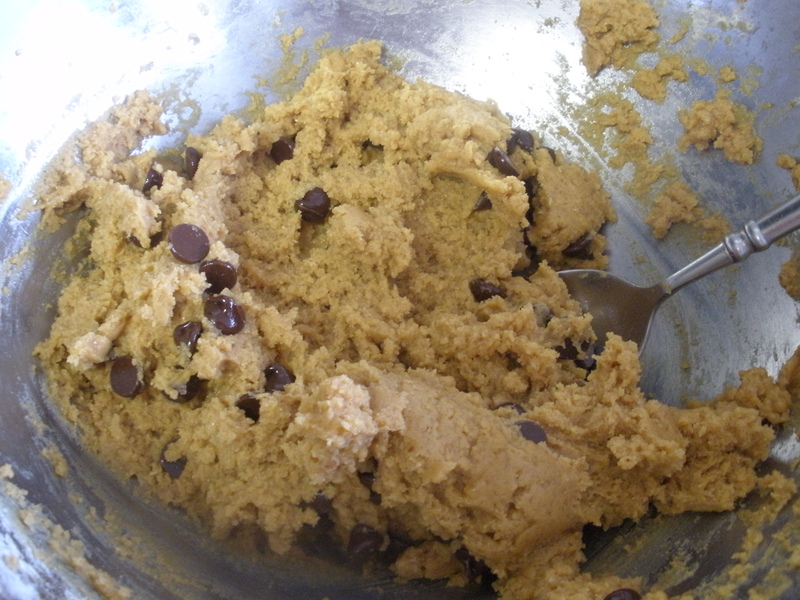 Fold in the chocolate chips until evenly distributed. Drop the dough by the tablespoonful onto the parchment-lined cookie sheets, with about 2 inches of space in between. Bake 12-14 minutes, until the bottoms are golden.